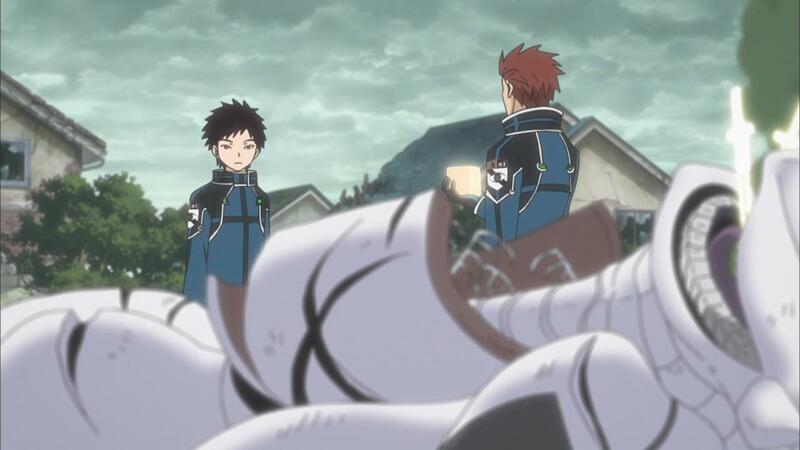 Its hard to look at World Trigger and call it anything other than a mixed bag. The chief issue right now is the pacing, and Toei’s now signature mishandling of it in adaptions. Toei Animation is infamous for long episode and series recaps, coupled with long OP themes and short episode lengths in general for perhaps one of the most popular franchises One Piece. And honestly, it makes a bit of sense there, but in a series like World Trigger, a series that’s barely started, these sorts of delaying tactics are almost ruining the story and buildup to an otherwise very promising franchise. 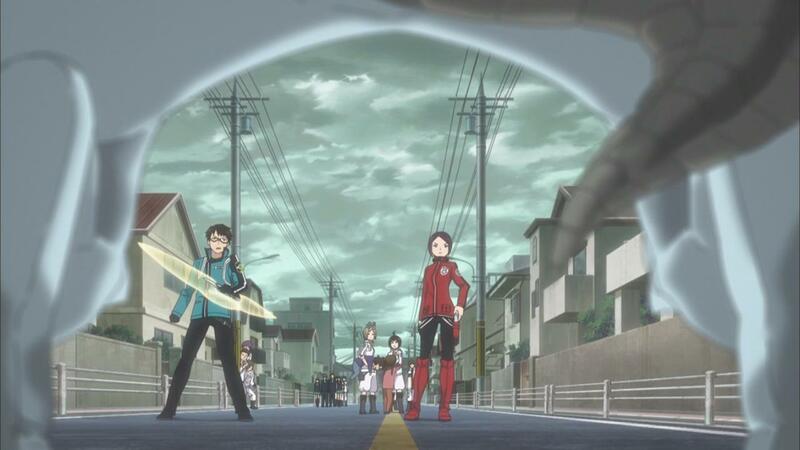 I really really like World Trigger, and I really like what its building towards. The series does something that very few series can, juggle multiple characters and keep introducing new ones on top of the already large cast it has. The story has finally ratcheted up to the point where its super exciting. But with every week, with the end of every episode, I feel more and more cheated. As a viewer, I really don’t feel like my time is respected, and that’s really not how I want to feel when there’s such good competition out there for this series. Episode 24 was the first episode where I repeatedly cringed at what happened. First there was the lengthy intro recap sequence from the last episode, then there was the series recap, and then we got into the episode. Then there was that gigantic omake section after but a chunk of the episode, and THEN we had this super long ED theme, that felt more like a series ending theme than anything else. Maybe this was where World Trigger was originally supposed to end before it got picked up for the current 50 episode count, and I hope to God that’s what it is. If that were true though, man would that have left a bad taste in any watcher’s mouth. 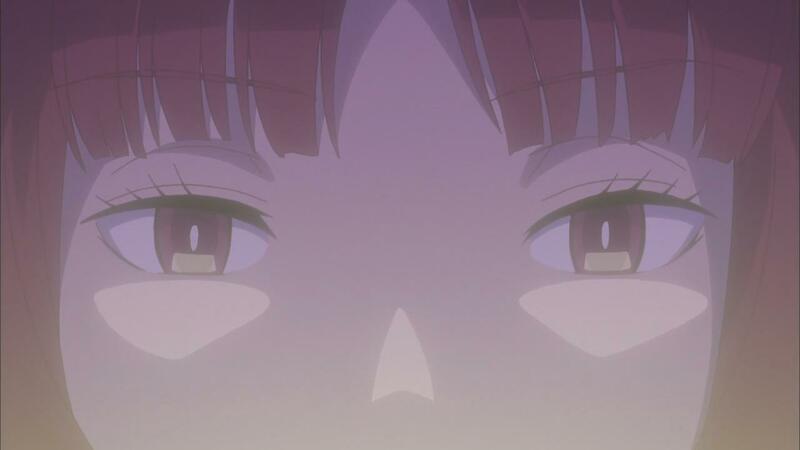 I was almost thinking I had heard wrong, and that the anime was indeed ending with the 24th episode, and two cours. It took the friggin episode preview to make me feel slightly okay about it, and that’s before I realized that we wasted MORE time that could’ve probably been used in the actual episode. That’s just… its hard to accept. And yes, I realize that I’ve already gone on what must seem like a huge tangent for 5 paragraphs now, but honestly, this issue is pretty darn serious. And I am very curious as to why this series is being adapted in this way. I think the fact that the Director for the series isn’t a big name with a good pedegree might be the reason? Mitsuru Hongou’s list of shows and career so far aren’t that impressive. In some ways this is the first big franchise that he’s tackled, and its disappointing what he’s managed so far. I’m sure all the blame doesn’t fall on the director, but he is in charge, and things aren’t exactly going swell on his watch. 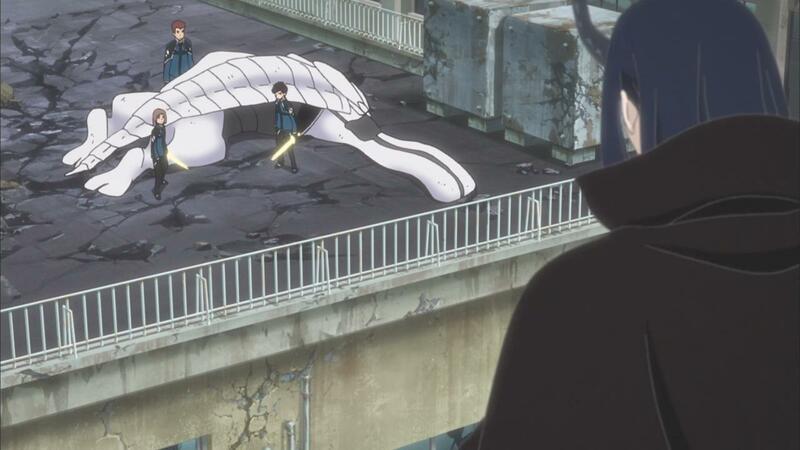 What’s so frustrating is that World Trigger, as a story, is so darn endearing and entertaining. I loved everything I saw in these past few episodes, even the odd, piece by piece form that I got it. But then there were the akward breaks that really ruined the momentum. Taking the Kido Yuma meeting as an example, the episode just ends as Replica begins explaining what the whole dear with the neighbors is. Then the next episode follows up with putting the lid on that whole case, and then we have a bunch of jumping around. Jin meets with Shuji for some foreshadowing, then we jump to Yuma talking with Shinoda, and then we jump towards the scene that starts the setup for the invasion. And then the episode ends, and the invasion starts. Then the next few episodes setup a good rhythm, what with the whole invasion and all. Its clear that Border is completely outclassed by their foes, who are always one step ahead. The invaders completely own border strategically, and its wonderful to see the plan unfold. Again, this is just solid stuff, and good story. Its because of how good this stuff is that the OPs, recaps, and long EDs feel like major interruptions and distractions. And then, moving back into episode 24, the second cour ends with one of the most frustrating episodes. The entire first chunk of the episode’s content itself is just more setup and jumping around. Some of its neccecary, like Kitora and Mikumo listenning to Replica’s analysis of the situation. The bits about Jin and the C-Rank characters seems competely useless though. Its only at the half way point of the episode do we see Mikumo taking on a Mormod himself. Now, I’m all for seeing Mikumo shine and actually make some improvement, because its just one of those things that the series make you want so bad. And it happens, but man does this sequence drag on, in the worst ways possible. The sequence is less about Mikumo using his new skills, training or even head. Instead, the bulk of the sequence is a flashback to his earlier training, and more annoyingly, features a weird comedy gag of Usami and her custom made VR mormods. The whole scene is not that funny, nor does it add anything to the story. I’m really curious about whether its from the manga, or a filler moment used to pad out this episode. And then we jump to the quick moment of Kitora taking on the new unit, taking it out and then pretty much getting killed shortly after by three new units. The cliffhanger is powerful, its exciting, but the episode ends at the 20 minute mark!!! Its perplexing to see how rushed, incomplete and darn annoying this episode is. Despite all this annoyance, I’m still hanging on, because the story is just that GOOD, as are the characters. I pray to God that this mess off an adaption is only limited to the second cour and the series picks back up starting next week. If this continues, I’m not sure I want to bother watching the anime at all, and would rather just jump toward reading the manga itself. More established manga franchises have had the same issue, and it seems like a shame to see World Trigger getting ruined by Toei Animation and an inexperienced director. In any case, I’ll continue writing about this series, even if I’ve done a pretty bad job so far. I’ll keep the posts fairly short from next week onwards, and we’ll just see how this goes. We’re about half way through the series, so here’s to hoping that the adaption work itself improves with the ever improving story. And Since I’ve spent such a long time criticizing a series that I’d fallen in love with, let me just say that I’m not a huge fan of how spoilery the Previews are too. I’ll probably skip these starting next week, and I suggest that everyone else do the same.